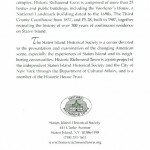 The Staten Island Historical Society produced a holiday card to raise awareness of Historic Richmond Town, New York City’s only historic village, at my suggestion. 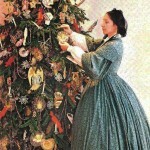 A woman in late 19th-century dress posed next to a Victorian-era Christmas tree. Inside was a 17th-century recipe for candied fruit. On the back was the standard description of Historic Richmond Town with address, phone and URL. 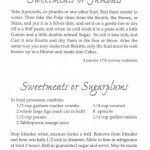 The experience of admiring the unusual photo and reading the recipe transported the recipient to Staten Island’s past. 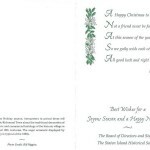 The card was mailed to business, community and political leaders of Staten Island and paved the way for improved communication and stronger relationships. 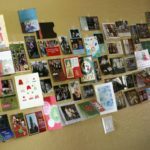 Why do many companies and nonprofits send a holiday card selected from a catalog? Make sure that your card is distinctive and could not be sent by a competitor or a dentist. See more thoughts on holiday cards. This entry was posted in Case Studies, Marketing on July 4, 2014 by Janet L. Falk.